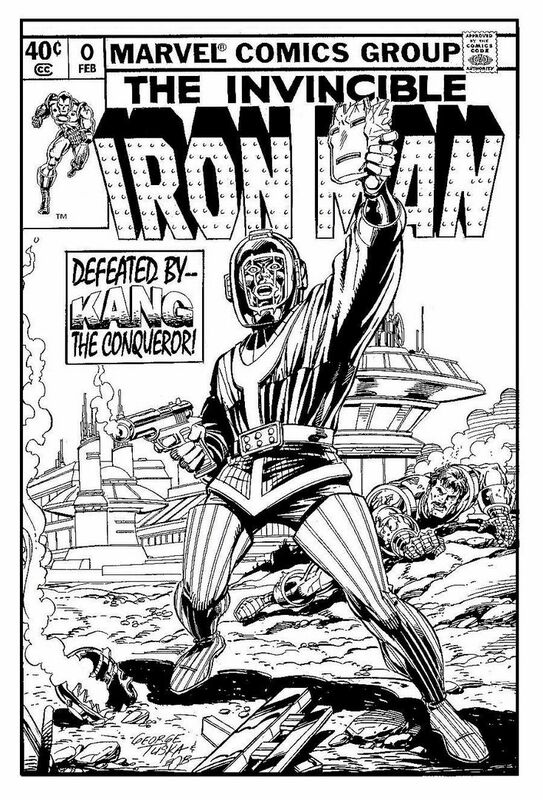 Iron Man Message Board - This Kang reimagined cover? Subject: This Kang reimagined cover? Can't find yet if this was a wonderful reimagined Layton cover was for a specific issue? And OT: Did Shellhead not get an Aurora model kit back when? I mean, most villains have clear imagery. Depending on the era, The Mandarin's design evokes martial artists, barbarians, or literal mandarins. Doom is a blend of the Grim Reaper and Soviet rivets. 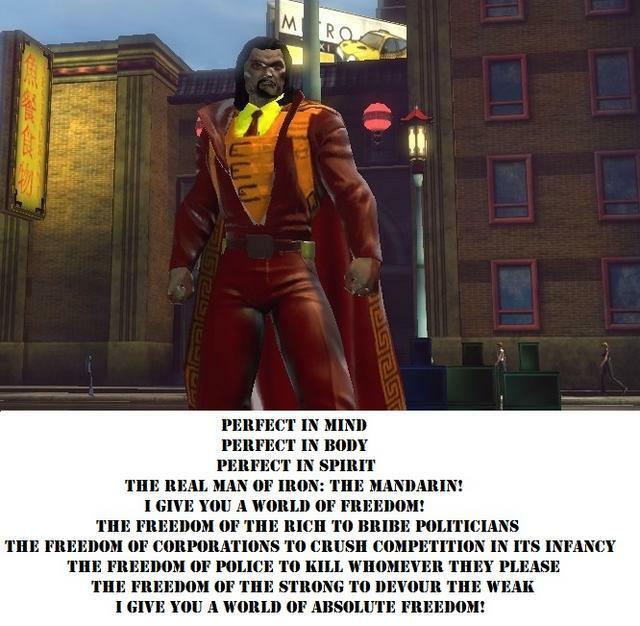 The Kingpin is an ogre in the clothes of a rich exploiter. Kang is...um...what the hell is Kang? Lucky guess : Secret Wars ? Kang was designed by Kirby, and he was interested in that Däniken stuff... viz. Eternals. Still, future chrononaut // ancient astronaut : it is quite fun ! BTW, Thor Ragnarok is full of Kirbiesque characters in the background. I'm going to go out on a real limb here and say...a conqueror. I think Kang the Conqueror is meant to be a conqueror. Yep. That's it. I don't get why. He debuted in 'Avengers'. Then he needs a visual update, because I don't see it. He kind of looks like it... what with those boots, and how he wants a life of freedom, not complacency (why he left a future which was more or less perfect). There's also some sort of... mideval thing going on, sort of Robin Hood old-time kind of... forest-bandit. The only thing that throws this whole thing off is the face-mask... it looks more like something out of tribalistic Africa than anything else! Yeah... not the clearest design. Still, a futuristic bandit, is my best take. Apparently, he was accidently put on the list of characters that Marvel sold to Fox because, thanks to an old retcon by John Byrne, he is a Richards family member (a longtime descendant of Nathaniel Richards, the father of Reed Richards). Even before the retcon, it could still be problematic to make him appear in the MCU because Rama-Tut was once believed to be a Von Doom family member. In a similar way, even though Ego first appeared in a Thor comic book, he was included in the same list of characters because Ego the Living Planet is an antagonist of Galactus and because he appeared in a popular FF story (also written & pencilled by John Byrne). Ego could appear in Guardians of the Galaxy 2 because Marvel Studios made a deal with Fox. Apparently, they also found a way to make Watchers appear in the same movie. And the Skrulls might be the main antagonists in the future Captain Marvel movie. So, if Marvel really wanted to, I think that they could make the Conqueror appear in the MCU, even if they had to give him a different origin than in the comics. Since Iron Man is the pivotal character of the MCU, I once suggested on the board to merge Mandarin & Kang the Conqueror into one single character in the MCU. "So, you mean to tell me that you don't know the history of the Mandarin himself? He was a warrior-king. Inspired generations of men through the Middle Ages, perhaps even further back in time." It would not be the first time that a MCU villain is actually the combo of multiple comics characters. Besides, thanks to the Doctor Strange movie, we already know that time manipulation is possible in the MCU. For example : in the MCU, the Mandarin / the Conqueror could actually be ... Andros Stark. Instead of being a descendant of Nathaniel Richards, he is a member of the Stark family coming from the future. In his own future timeline, he developed a technology based on the Time Stone which Tony Stark had the opportunity to analyze after Infinity War. In the MCU, his alias could be Gregory Andros (since Gregory Stark is Tony Stark's "evil twin" in the Ultimate Universe). I once suggested on the board to merge Mandarin & Kang the Conqueror into one single character in the MCU. Many thanks for your enthusiasm about the idea. I thought about it because Kang is a Chinese surname (https://en.wiktionary.org/wiki/Kang) and, of course, because Gengis Khan (Mandarin's claimed ancestor) was known as the "Conqueror of the World". So, why not merge the Mandarin with the Conqueror in the MCU ? Let's replace Ancient Egypt by Ancient Asia. He was known as Kang when he was one of the advisors of the Great Khans of the Mongol Empire. Kang earned the nickname "The Mandarin" when Kublai Khan became the Chinese emperor of the Yuan Dynasty. I also remembered Iron Lad, Iron Maniac, Iron Man 2020, Iron Man 2093/2099, Teen Tony, Hatap the Mad Pharaoh, Iron Age's Donald Birch and the fan favorite Doomquest. It seems to me that, even in comics, Iron Man has been involved in a lot of time travels (he even met ... Cleopatra). What if one of the Stark descendants mastered time travel in the future ? Perhaps, a descendant of both the Stark & Fujikawa bloodlines (thus Eurasian) ? Yeah, I got the impression that that was intended to make him a Muhammed analogue, and so I immediately hated the idea. I have a great deal of affection for Stan Lee's story of a rich kid whose aunt squanders his father's money turning him into a super-soldier and then he goes Christopher Columbusing. So I didn't enjoy at all this notion of him as an ancient religious figure inspiring terrorist cells. "All Hail The King" was groan and eyerollworthy. What I want is for Stan Lee's origin to be expanded in a way that sort of combines X-23's story of a tortured super-soldier with the "Penguin: Pain and Prejudice" story of an aristocrat raised by those who hate him. The Great Khan and his Nine Ministers were at the top of the Mongol Empire. The army was organized in groups of 10 (Arban), 100 (Zuun =100 arbans), 1000 (Mingghan) and 10000 (Tumen). IMO, the Ten Rings could have been created centuries ago by the Mandarin from the remnants of the Mongol Empire. Post Scriptum : the alias of the Mandarin could be Gregory Andros, Gregory Morgan or Morgan Andros. I think that "All Hail the King" is problematic. It is supposed to say to the watcher : the "true" Mandarin might still be around ... or he might be some kind of ancient religious figure used as a symbol by the Ten Rings group. Still, it doesn't change anything to Iron Man 3. Imagine if Mandarin was born in the future and went back to the past to become one of the advisors of the Mongol emperor of China, Kublai Khan himself. He would train to become one day a super-warrior and the future conqueror of the world. And what if he is the future black sheep of the Stark family ? That sounds dry compared to Stan Lee's origin. I tried to imagine a #1 archfoe in the MCU who wouldn't be Loki or Thanos. They tried with Ultron but it didn't work, in my opinion. Since the MCU centered around Iron Man & the Avengers, Mandarin & Kang seemed like the most obvious choices. - Slattery & Killian in the 3rd movie. The "All Hail the King" short film doesn't change anything because most of the audience remember the 3rd movie but are not aware of the short DTV films. On another note, Rama-Tut/Kang cannot be used in a MCU movie. That's why I thought that it would be fun to create a new character sharing characteristics with both the Mandarin & Kang. And since more than one alternate evil Stark appeared in the comics, it was tempting to make this new character a rogue member of the Stark family. Mandarin has his classic origin in pre-revolutionary China but instead of an alien ship, he discovers a crashed chronoship and learns how to master its future technology. Still, either way, I like very much the idea of the Mandarin going back to Middle Age China at the time when the Mongol Empire ruled over it and become one of the mandarins of Kublai Khan and create the Ten Rings Group back then. It reminds me Marco Polo's Book of the Marvels of the World. I think that, in Iron Man 3, the character played by Guy Pearce should have been named Tiberius Stone (or another one of Iron Man's evil businessmen such as Gregory Stark or Morgan Stark) instead of Aldrich Killian. I know that Aldrich Killian was the co-creator of Extremis but he was only a footnote in the story of the comic book. Also, Marvel shouldn't have killed the character at the end of Iron Man 3.